you NEED one of these Jerseys!! Kirsten McDaniel doesn't waste any time at the Rest Stops!! 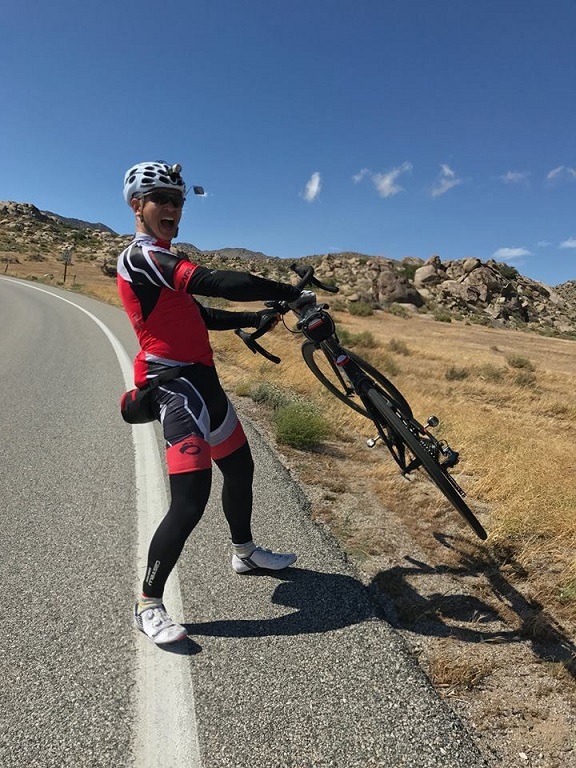 The winds on the Oceanside Double Century were blowing riders across the road on the Montezuma Climb!! Mark Christopherson was looking strong on the brutally hot Terrible Two!! Of those, only 13 went on and finished the Second Stage on the Oceanside Double. 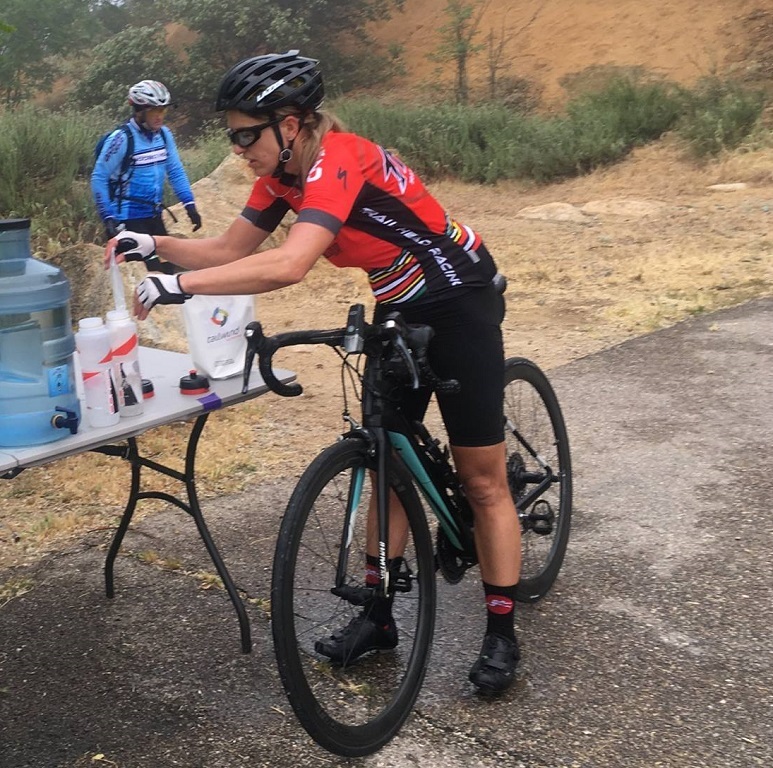 causing riders to walk their bikes up Montezuma, and lots of wind, rain, and sub-45 degree temperatures after Montezuma. Of those, only 10 went on and finished the Third Stage on the Terrible Two. Bill Oetinger wrote about the Terrible Two: "Just how hot was it? The official highs were 101° in Cloverdale and Sebastopol and 102° in Healdsburg. a slow cooker that turned many a rider into the human equivalent of a well-done pot roast. The bake-oven weather turned a small field of starters (96 entered and 89 actual starters) into an even smaller field of finishers. Only 29 riders made it in by the old standard cut-off of 10:00 PM (32%), earning their coveted “I Did It!” t-shirts. Another 12 made it in before 11 for CTC credit, for a full-field finishing rate of only 46%. That ranks right up there as one of the nastiest Terrible Twos on record. Anyone who finished this one can stand very proud and anyone who didn’t finish it has no reason to hang their head. It was a very tough day." 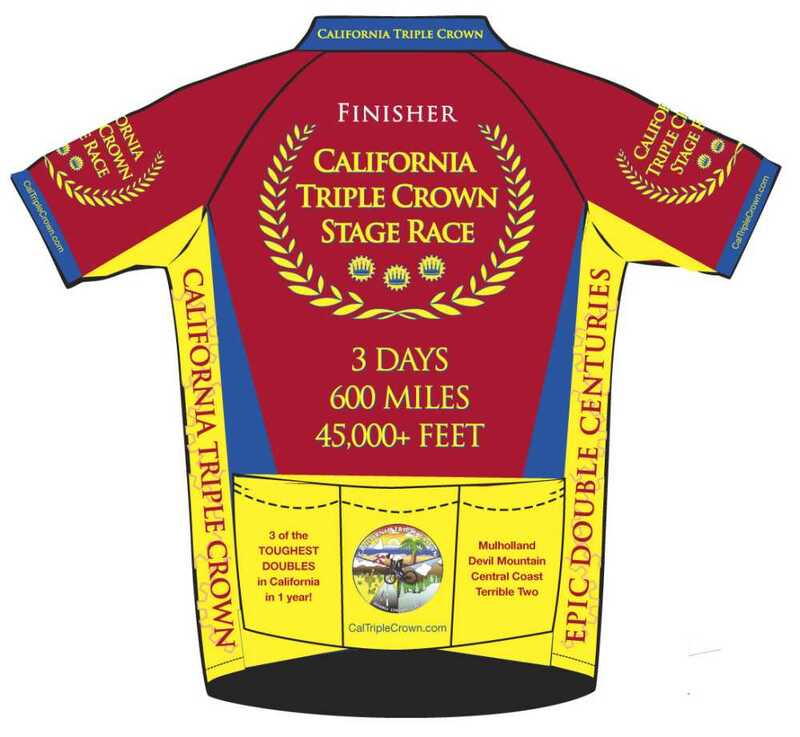 To complete the California Triple Crown Stage Race is a HUGE Accomplishment in cycling!! To be in the Tandem Division, the rider has to ride each of the 3 Double Centuries on a tandem with the same person. 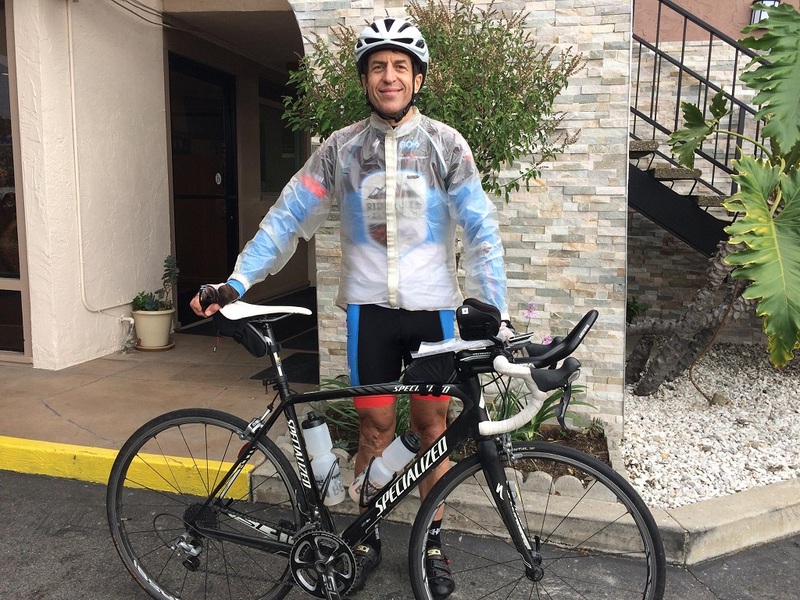 To be in the Recumbent Division, the rider has to ride each of the 3 Double Centuries on a Recumbent bike. 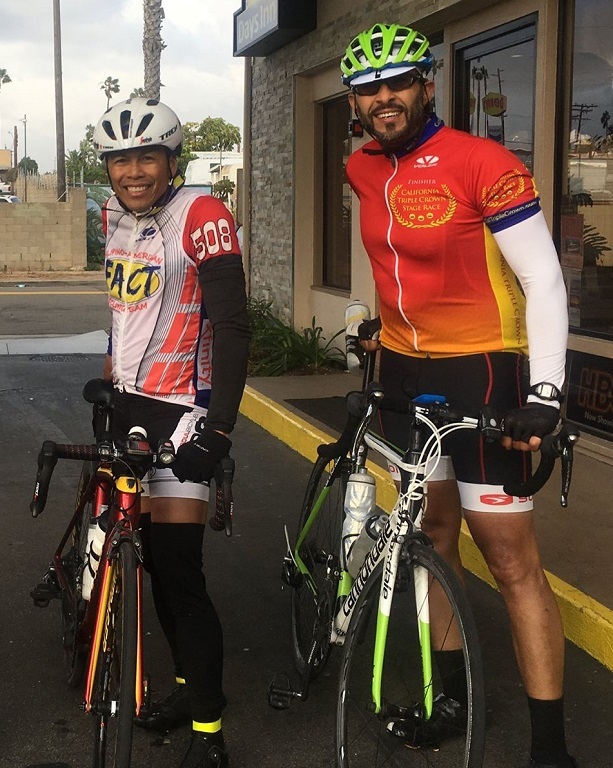 To be in the Fixed Gear Division, the rider has to ride each of the 3 Double Centuries on a Fixed Gear bike. 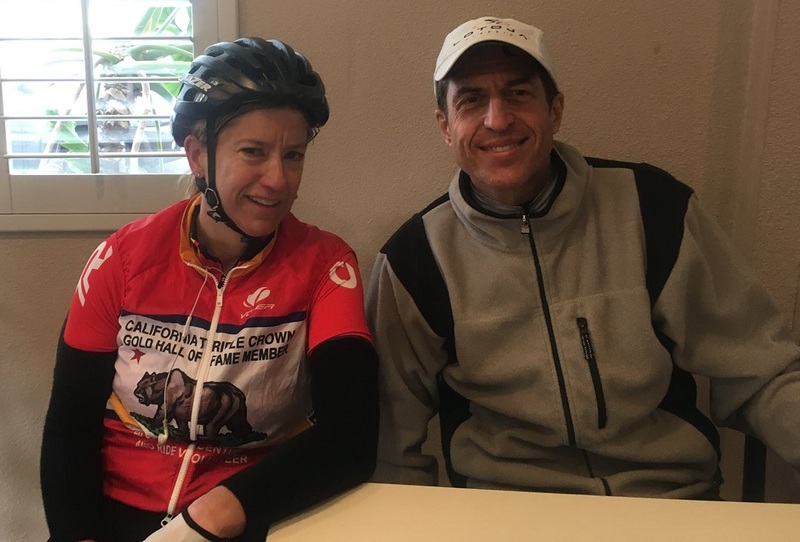 The Overall Division Winners can include Women, Tandems, Recumbents, or Fixed Gear Bikes if they finish in 1st, 2nd, or 3rd place overall in the 3 Double Centuries. 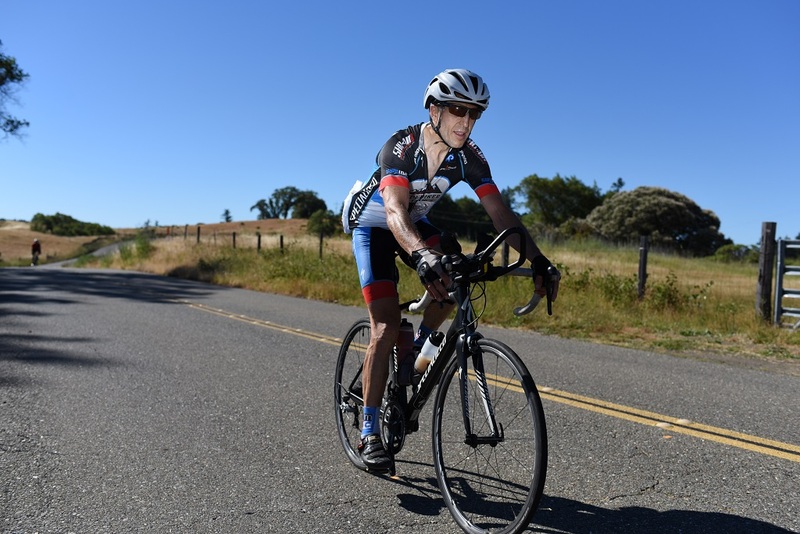 No motors of any kind are allowed on these bikes ridden in the California Triple Crown Stage Race ... each of those Double Centuries must be strictly human powered events. Any form of human-powered vehicle is acceptable but the vehicle must be powered solely by the rider. The awards for the Winners in each Division will be determined by the Organizers of the Double Centuries in the Stage Race.